A 13-mile network of trails that begins in Baldwin Hills, weaves it way through areas of Culver City, before heading west to Venice and the Pacific Ocean, is now open for business. Well, make that foot traffic. 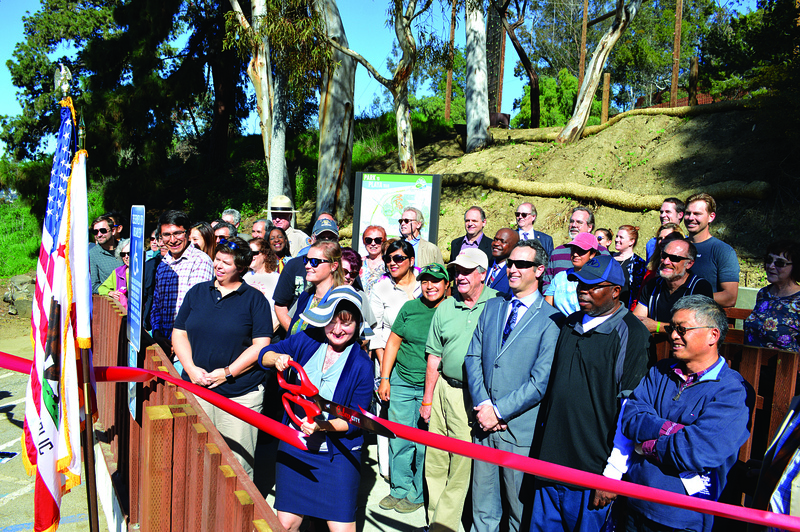 Completion of the Ballona Creek Connection project and the Nature Trail Rehabilitation at Culver City Park received a healthy reception Jan. 25 during a ribbon-cutting ceremony at Culver City Park. 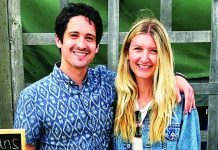 The event was hosted by the Culver City Parks, Recreation, and Community Services (PRCS) Department, along with the Public Works and Engineering Department. Construction on this project started in May 2018, with the purpose of renovating Segment 7 of the Park to Playa Trail. Officials say many of the access points are located in the Culver City, including Segment 7, and links the Baldwin Hills Scenic Overlook Western Gateway with Ballona Creek. The project included rehabilitating decomposed dirt paths, construction of two new paths that meet American Disabled Act accessibility standards, improvements to the entryways and general repairs of the Boardwalk within the park, and improvements to the extension of the Culver City Park Bike Path. Segment 7 is now a fully ADA-accessible trail that links the Baldwin Hills Scenic Overlook Gateway with the Duquesne Avenue entrance of the Ballona Creek Bike Path, and the entrance at Duquesne now has a “Pooch Path” that dogs and their handlers can take that has been approved by the City Council. The project was partially funded by a Proposition 84 grant from the Baldwin Hills Conservancy and Proposition A Maintenance and Servicing Funds from the Los Angeles County Regional Park and Open Space District. 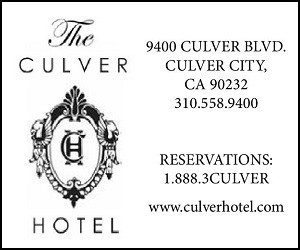 The remainder of the money needed to complete the project came from the City of Culver City.